The story of a truly revolutionary product needs a special communication tool in store to alert consumers to the breakthrough new technology. 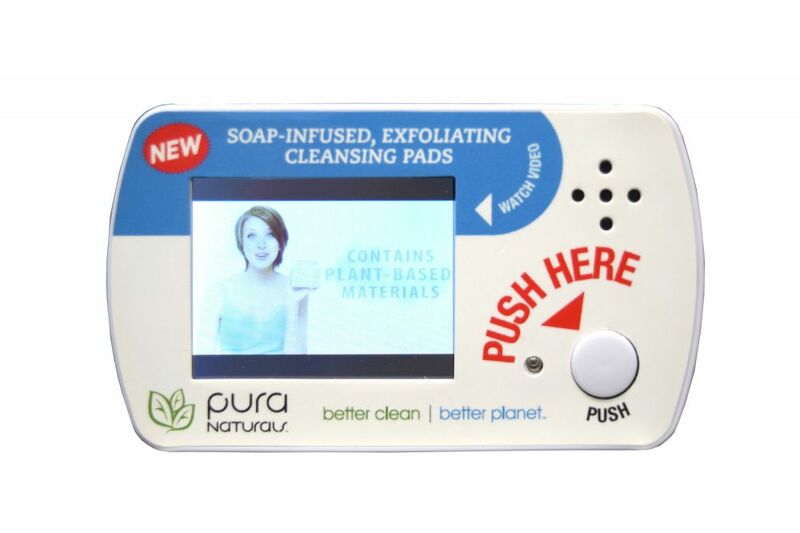 When Pura Naturals launched its line of environmentally-safe, technology-infused products at CVS, it knew it needed a cost-effective way to capture attention and increase brand awareness while also generating increased sales. With a wide array of stock shelf-edge technologies to choose from, the Pura Naturals team selected Americhip’s economy Micro Shelf Talkers to deliver their point of sale messaging. The compact displays include a 2.4” LCD screen and a prominent push button to draw attention. When pressed, the Micro Shelf Talkers play an informative video explaining the technology behind the new products. Although small in size, the Micro Shelf Talkers are a great application at the shelf. The units are easy to install and have a small footprint, helping to create a seamless integration into retail stores. 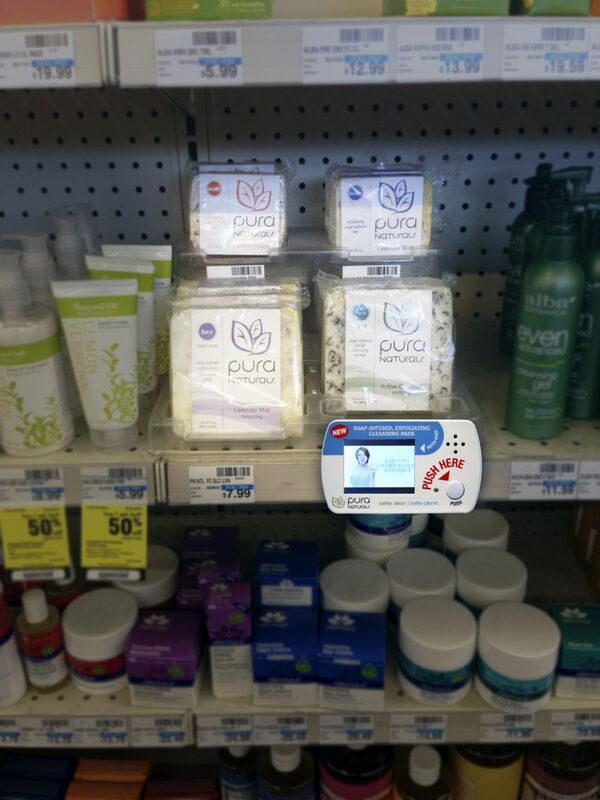 With Americhip’s Micro Shelf Talkers, Pura Naturals is able to tell their story right at the shelf edge with a cost-effective digital solution.